Are you an artist and want to sell your art? If so, then I've a good news for you. But first let me ask you a Question? Did you know that you can sell art online and make money? Probably you might not be aware of these. am I Right? Internet has made things easier for people coming from every walk of life. Whether you are a programmer, an Internet Marketer, a Blogger, a Consultant, a Real Estate Agent or an Artist, you can always find your niche and make a living out of it. If you have the Skills and want to make quick bucks selling you your art, then you are at right place. In this article, we will be talking about how you can make money by selling your art work online. We'll be covering the following topics in Detail. and Lastly How Much money can you Make By selling art Online. Digital age has really being a game changer for the ordinary artists like you and me. Now you can easily sell photos and drawings to companies that need them for marketing and other purposes. You get paid on time wherever you live in this world. Types of Art Work You Can Sell Online? Although there are many kinds of arts out there but only three of them can really sell online and make some money for you. Majority of the art work that are sold online by artists are Paintings and drawings created using materials like paper, sketchbooks, masonite, canvas, acrylics, oils, pastels, watercolor, inks, pens, brushes, varnishes etc. Second one is digital like photos, wallpaper, prints etc taken from a good quality camera. Third kind of art work is sculptures which involves carving and casting. In this article we will talk more about first two categories because reproducing sculptures are quite difficult than creating paintings. For an artist selling sculptures is not very rewarding because first it takes so much time and money to create one and then returns are also not that great. How Much Money Can You Make Selling Art Online? There are artists in this world who are making decent income selling their arts online. A full time artist can earn between $3000 and $10,000 per month depending upon his/her experience and marketing skills he/she has. If you take example of an art like drawings & paintings then on an average artist makes between $200 and $250 for each painting they complete. Most of the paintings that are listed on eBay or Amazon are sold for $150 – $200. Occasionally, they can be sold for $500 – $1000 but that is very rare. However an artist can make additional money selling the prints of the same painting through YouTube videos and various social media platforms. So even if an artist ends up getting half the price that he/she would like to sell a painting at an auction they can still make more money by selling reprints. So in total they can easily earn $250 – $300 for a painting. If they can produce 3 to 4 paintings every week then they can earn up to $4000 per month. How much an artist can earn will depend upon two factors, what he/she is selling and how is he/she selling? What art he/she is Selling? Competition is very tough. There are other thousands of artists who are also selling on websites like eBay, Amazon, Etsy etc. If you want to beat them then you must know your niche. Every artist got to carve out a niche for himself/herself. If you are selling Japanese contemporary art then stick to it. You don’t have to be vague here. Be Specific with what you are selling. Marketing is very important. There are two ways to sell your art. One is online and the other is offline. For a newbie it is going to be very difficult to sell offline. The exposure to potential buyers will be very limited if you are selling offline. If you want targeted buyers who are looking for a particular kind of art then online is the best way to reach them. If you get these two things right then you can easily earn up to $8000 per month. Where to Sell Your Art Work? Off Course! 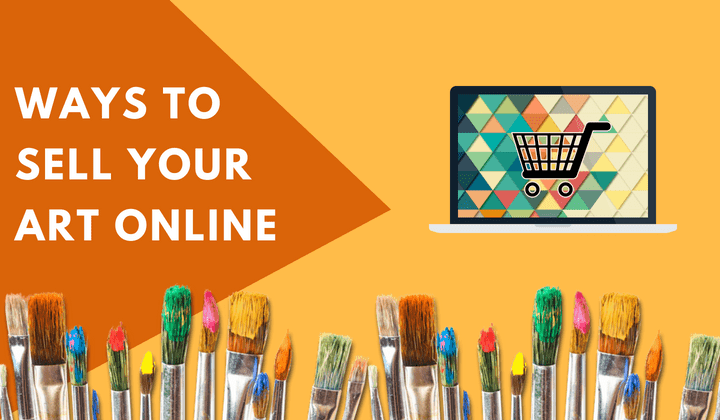 You have to sell online but there can be two possible ways selling your art online. The first one is selling through your own website and the second is on art selling websites like ebay, Amazon etc. Well as a new artist you should always leverage the power of much established platforms like eBay and Amazon. The exposure that you will get on these sites will be much more than your own site which will be new with limited traffic. It is not necessary that only novice artists need to use art selling websites to sell their art, even experienced artist depend a lot on top art selling websites because the kind of exposure that they get there. Here is a list of some top art auctioning websites. eBay is the most popular website for selling and buying art. It has the biggest network of art buyers in the world. Artists can sell all kinds of arts like Paintings, Drawings, Photographs, and Sculptures on eBay. Etsy and Amazon are also great platforms for selling your art work. Etsy is really great when it comes to selling photos. You can even sell photos taken your smartphone. On Amazon you can sell paintings, sculptures and Local/Tribal art. At Saatchi Art you can not only sell art but also get to meet other artists and curators in art fairs organized by them. Society 6 is more suitable for selling art work like posters and prints. You just have to upload your work and turn them into products. ArtFinder regularly features artists from their network giving them extra exposure. This site is really great for experienced artists. The unique thing about ArtQuid is that it allows artists to create 3d galleries helping their buyers to visualize artwork and increasing your sales. At TurningArt artists can not only sell their art but also rent it if they like to do so. UGallery gives you a great exposure because of its established business partners with other companies and art curators. Here you can learn and collect art from leading galleries, fairs and museums from all over the world. Artsy has a huge collection of arts that people look for from all over the world. There are over 40,000 artists on this website and you can also be the one. Art Fire is really great for crafts and other handicraft items. The website is less about paintings and photos. So you can go to the site and look for more information there. Here you can sell all kinds of prints like canvas, framed prints, metal prints, acrylic prints, art prints etc. You can also sell drawings, paintings, posters, digital arts etc. The site also handles your logistics. However you have to live in US. Artist Rising is a place where artists from all over the world can sell their products. They offer you both free as well as premium account to sell your arts and related products. There are over 70,000 artists who are currently registered on this website. They offer you over 400,000 art work. If you want to exploit these art selling websites to your advantage then learn to create great titles for a painting with right keywords and uploading quality images with videos of your art work. But if you are more experienced and want to reach out to your buyers directly then you can create your own blog or website and promote your art work there. However, your blog/website must receive hundreds of visitors who not just appreciate great art but also willing to buy them. You have to build your own brand name only then you will be able to sell through your own blog. 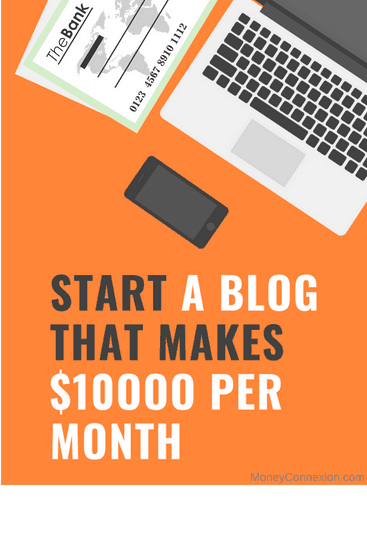 You can go here and find out more how you can create your own blog easily. I would say it is not a zero sum game that either you have to depend upon art-selling website or have your own website. You can have both. As a beginner start with leveraging the power of art-selling websites and later on with some experience create your own blog and sell it there. Never ignore the power of social media. You just have to use two social media platforms to build a personal network of art admirers. On Facebook you can create a small post with few videos describing your art work. You need to keep updating content on a regular basis. You will draw a lot of audience through Facebook alone. If you are into selling photos then Instagram is better than any other art-selling website. In fact, you don’t have to spend any money showing casing your art work. Everything is free! However, your audience must be genuine because just having more followers doesn’t mean they will also become buyers of your art. You have to build an army of followers and admirers for your art on Facebook and Instagram. I am going to conclude by saying for selling art as a full time career you have to be very pragmatic. If you really want to survive as an artist then you got to choose right kind of art. While creating an art keep three things in your mind. Art is in great demand and has a lot of buyers. Art is very easy to create with less money and time. It pays you really well once you sell it. You can use all the ways mentioned above to sell your art online & make a great living. You mentioned selling on various sites such as Etsy and Artsy. Definitely something to do. But I also think it’s a good idea to sell from your own website. And I say “also” because it’s best to have as many outlets for your work as you can find. Some will do okay, some might not do so good. However, when combined, it should add up to being worth the work. You can find inexpensive hosting that includes a site builder so you can put up the site without knowing any HTML or coding, and you can find a host that gives you a system that handles selling downloadable files if your work is digital art. Instinct Art at iabyiz.com is one example. It’s one guy selling his digital art (it’s not a community anyone can sell art at). Thank’s for sharing helpful post to buy money online by selling own art. If any one interested to sell own art in a click than upload your art at ExibitArt. It is a best and secure site for art selling. I want to sell my painting plz tell me how to sell my art online.. Surely, The World Will Know How Best I’m. Plz koi mujhe ye batayega ki *agr mujhe apni paintings bhejni hain toh mai kese bolu logo ko facebook m ki vo meri painting kharid le*?? hallo, i am a calligrapher. if there is someone who wanted to have calligraphy of their name then text me on fb (Gupta Tushar). You can payment online. I will show you patterns or you can tell me in what kind of pattern you want to have your name. Im an artist and im selling artwork here on my website over 4000 drawings and paintings to choose from all unique originals or prints im selling them all for 20 dollars an original buy one get one free and 10 dollars for prints. email me at dm45draw @ gmail.com if your interested. Thank you so much I loved the list it was really helpful. I’m a new artist trying to sell my photography and painting ? I am a Landscape pencil sketch artist. Want to sell my art online. Please guide how to sell & whom to sell my arts. The fee to list an artwork for sale on Artplode is $60 for each listing. Artworks stay for sale on the site until the seller removes the listing. There are a lot of people that do their own art to help pay the bills there are plenty of places that allow you to sell the work and make money online. I think that you just need to have the confidence to do it and work on the art. My fiancee did this with her photography and it has actually picked up. Can you please correct the information in the post above. Artworks offered for sale on Artplode must be priced at $1000+. It is incorrect to say in the post above that the site accepts artwork for sale from “”$50 to $1000”. The name of the business is Artplode not Art Plode. this liste its work for all conntry ,,,,,,,,? You have published great list. As a publisher I think this is very valuable list. Thank for sharing.